How do I go about changing the file path of the aggregated CSS file paths? My issue is that my site visitors are always seeing the cached (old) version of my stylesheet when they visit my site. Of course I always want them to see the newest version, but I also want to optimize my website as well as possible. Back to my original question. Is there any way to change the path that looks like gibberish (first example starts with "791YXB.....") ? I've gone through several of the questions here, but I can't find an exact answer for this. 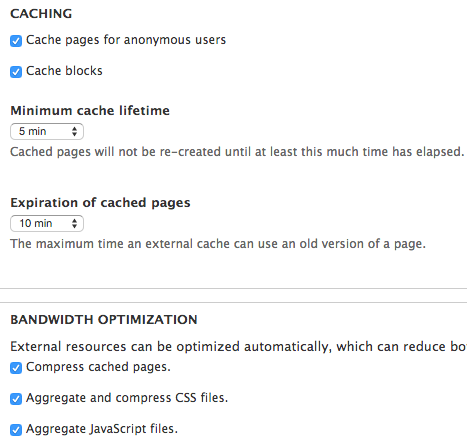 After making changes to my CSS files I also always click the button to 'Clear all caches'. Not the answer you're looking for but it does solve the problem you're having (old css); try the Advanced CSS/JS Aggregation module. Not the answer you're looking for? Browse other questions tagged theming caching css-js-aggregation or ask your own question. Does 'aggregate and compress CSS files' actually use gzip? How does CSS and JS aggregration work in Drupal? Aggregated CSS/JS file names, when regenerated?